Carol City never incorporated and remained in unincorporated Dade County until most of the area was incorporated into the City of Miami Gardens in the early 2000's. See the next photo for an image of the letter that was sent by the new developer of Carol City to the Carol City Civic Association regarding this building. 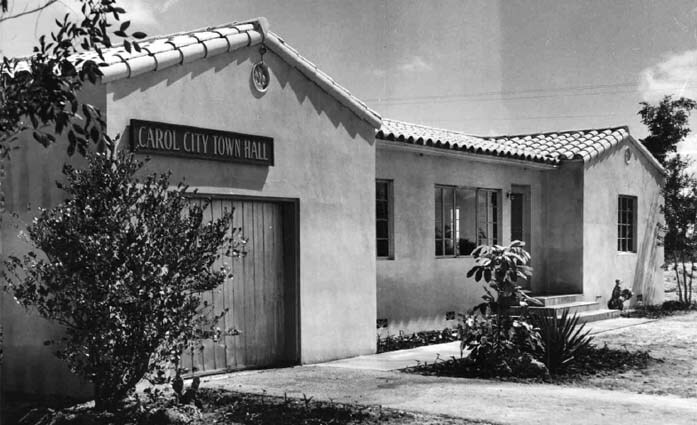 The original name was Coral City, but a cease and desist order from the City of Coral Gables forced the name change to Carol City and it just never took off. The Bob Graham family poured millions into developing Miami Lakes on the old Graham Dairy property and eclipsed Carol City.